A home for (oversized) hobbits? In the realm of the (plasma) ring one shouldn't be too surprised to find structures closely resembling the door to a hobbit's hole. 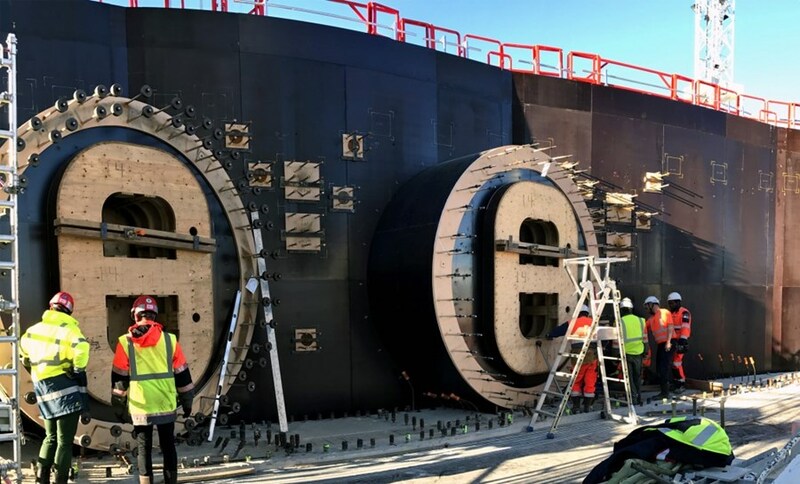 But in this case, these large circular openings in the bioshield do not lead into the warm, comfortable dwelling of a hairy-footed creature: they are penetrations for the neutral beam injection system that will feed some 30 megawatts of heating power into the plasma.